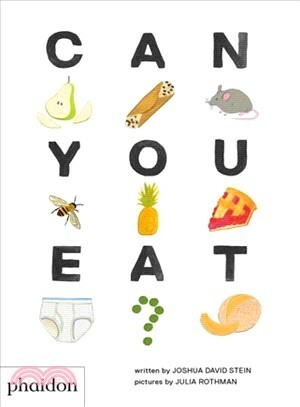 Now in a new board-book format: a whimsical word book of rhyming things that can – or can't – be eaten! Joshua David Stein (@fakejoshstein) is an acclaimed food critic, and film and culture columnist. He lives in Brooklyn with his wife and two sons. Julia Rothman is an artist and designer, a part of the design studio ALSO, runs the blog Book By Its Cover, and launched Women Who Draw, a directory of female illustrators. She lives and works in Brooklyn.